All Oak Park homes currently listed for sale in Oak Park as of 04/19/2019 are shown below. You can change the search criteria at any time by pressing the 'Change Search' button below. If you have any questions or you would like more information about any Oak Park homes for sale or other Oak Park real estate, please contact us and one of our knowledgeable Oak Park REALTORS® would be pleased to assist you. "Welcome home to this gorgeous Oak Park home! This home is the largest single-story model in Morrison Estates. This home invites you in with dramatic interior entry with 9' high custom-arched French window opening to 18' high atrium. The atrium features flagstone floor and custom wood French doors. The floors are hand-scraped solid walnut floors in kitchen, breakfast, entry and hallways. The kitchen features custom cabinets, Kohler fixtures and granite/onyx countertops. Bathrooms have been updated with custom cabinets and granit/onyx countertops. All 4 bedrooms are very light, bright and spacious. The master is extra spacious with vaulted ceiling and a gorgeous en suite bathroom. The entertainer's backyard is fully landscaped and hardscaped and includes seasonal flower gardens and mature trees which offer complete backyard privacy. More backyard features: sparkling pool, waterfall spa, 60' covered patio, sun deck, BBQ island, bar seating and putting green. The views from the backyard are very tranquil. . Schedule your private showing today!" "Welcome Home! This spectacular pool home is located on a premium lot in the Regency Hills development of Oak Park. Upgraded and updated! 5 bedrooms (one is on the first floor with ensuite bath) plus a bonus room. Hardwood floors, vaulted ceilings, newer carpet on stairs and bedrooms, recently painted interior, Sonos sound system, security system and monitoring cameras throughout. Newer chandeliers and recessed lighting throughout. Newer ceiling fans in all bedrooms. Fireplace areas have been tastefully redone and updated. The warm and inviting living room opens up to the newly remodeled kitchen featuring an enlarged island, updated cabinetry with pull out drawers, quartz counter tops and Viking appliances. The kitchen overlooks the salt water Pebble Tec pool and spa as well as the backyard play area. The backyard also features an entertaining area, grassy area and two enlarged side yards. There is also a patio overhang with ceiling fans. The master bedroom is spacious and showcases vaulted ceilings. The master bath is done in wood an travertine. Updated master closet. Freshly redone laundry room. Three car garage with storage and upgraded flooring. Award winning Oak Park School District." "Stunning and rare Oak Park Regency Hills 12,000 sf. estate pool home has every detail and luxury imaginable. Double door entry greeted by an elegant two-story foyer with natural light. 5 bedrooms, 4.5 bathroom and an enormous bonus room offering much versatility. Beautiful appointments with impeccable detail throughout. Gourmet kitchen with quartz counter top and breakfast bar opens to family room. Formal living and dining rooms perfect for special occasions and holidays. Main level Bedroom 5 on suite includes wall bed for your favorite guest. Popular dual stair case system. Expansive entertainers private resort back yard includes pool, spa and slide. Built-in BBQ and wind down at the end of the day with your family and enjoy the Italian pastime Bocce Ball. Gather your friends around the outdoor fireplace as you take in the view of the surrounding mountains. Enjoy your coffee every morning listening to the birds sing in your woodsy tranquil environment. This home has it all cul-de-sac location, 3 car garage with cabinetry throughout. Close to everything from award winning schools, shopping and freeways. Move in condition." "Magnificently-maintained home on one of the finest lots in Morrison Sutton. Located at end of cul-de-sac with only one neighbor, this private property backs to open space with views of the beautiful hills. Huge, gorgeous re-landscaped backyard includes flat lawn, pool/spa, covered patio, and BBQ area w/ granite. Interior is filled with tons of natural light and has dramatic entry with spiral staircase & cathedral ceilings. Elegant living room with fireplace and striking volume windows. Formal dining room is spacious. Remodeled kitchen with granite counters, designer backsplash, center island, and newer stainless steel appliances. The center atrium lets in tons of light and opens to the inviting family room with wet bar and fireplace. Master suite includes sitting area, dual closets, fireplace, mountain views, and overlooks backyard. Master bath has dual sinks, separate tub, and shower area. The secondary bedrooms are spacious with large closets and share a charming hall bath. The 4th bedroom is ensuite with private bath and dressing area. Loft serves as an office but can be enclosed as 5th bedroom. Property features newer HVAC, refurbished attic, newer front and rear landscaping, new side wooden fence, newer fixtures, remodeled powder bath, and more"
"This immaculately kept, move-in ready, Chambord home has never before been on the market and is located on one of the choice homesites for the community! With a gated courtyard entrance, this immaculately kept home, boasting beautiful views, is positioned to receive sun throughout the day. A custom pool, spa with waterfall features, lush landscaping and great yard areas are part of the uniqueness of this property. A formal living room with fireplace, game room/den, and formal dining greet you on the ground floor. The open kitchen with breakfast area is integrated into the comfortable family room for gatherings. The master suite is expansive with views overlooking the picturesque mountains and lights at night and a luxurious master bath and walk- in wardrobe. The three car garage has plenty of storage. Located in close proximity to the award-winning elementary, middle and high schools, as well as parks, shopping and the 101 freeway. The best Oak Park has to offer!" "Chambord 5 bedroom home with lots of quality customizing throughout! Private location backs to HOA maintained greenbelt w/ gorgeous mountain views. Gourmet kitchen w/ custom cabinetry including soft close drawers, pull out shelving, copper farmhouse sink, Viking stainless appliances, built in Sub Zero, walk in pantry and charming window seat in breakfast area. Open floor plan w/ custom built ins and cozy fireplace. Enjoy the Spring and Summer months in the low maintenance, entertainers backyard w/ sitting area, sparkling pool and spa. Downstairs office opens to a relaxing shaded courtyard. Dramatic master bedroom suite with pretty mountain views, lots of windows/silhouette window shades, fabulous wardrobe/dressing area w/built-ins, mirrors, lighting & locking option. Most baths include custom finishes, marble, glass tile accents, travertine, and granite. A separate bedroom en suite (for in laws/maid/guest) ensures privacy away from the other bedrooms. Lots of natural light brightens up this home! Located w/in walking distance to award winning schools, hiking trails and a community park w/ playground, lighted tennis and basketball courts. Close to restaurants, shops and access. Low HOA dues." "Exceptional Opportunity in Chambord Estates! Your chance to own a beautiful home in desirable Oak Park neighborhood. Enjoy contemporary living in this 4 bdrm, 3.5 bath home, incl an upstrs loft & multi use dwnstrs room, ideal for gym/office/hobby/storage. Plenty of space to gather w/ family & friends in the classic white kitchen w/ over sized island, opens to family room & adjoining formal dining. Healthy living is easy w/ your own sustainable orchard w/ many fruits & other trees; figs, lemon, persimmon, mango, moringa, curry leaf, papaya, guava, avocado & many more!! Future plan for a pool & spa? No problem, electrical conduit & gas line has already been installed! Relax in a quaint courtyard off the kitchen/formal dining for some quiet time or glass of wine. After a long day, retreat to your romantic master suite featuring a soaking tub, dual sinks/vanities & 2 walk in closets. Also, upstairs are 3 secondary bedrooms; one w/ a full bath en-suite, & another full bath w/ dual sinks. Lrg bonus loft is perfect for office, kids play/study area or ? Low HOA. Located w/in walking distance to award winning schools, hiking trails, community center & park w/ playground, lighted tennis & basketball courts. Close to restaurants, shops & frwy access." "Come see the beautiful new hardwood flooring just installed downstairs! Also fresh interior paint. This popular Monte Carlo model has everything you've been searching for! Beautiful, private backyard with pool, spa, built-in BBQ and artificial turf on one of the larger lots in the neighborhood...And OWNED Solar! The property has 5 bedrooms and 3 full bathrooms (one bedroom & full bathroom downstairs). The floor plan is light and bright, with vaulted ceilings and large windows that provide an open and warm feel. Features include: updated kitchen with granite counter tops and center island, stainless steel appliances, plantation shutters, spacious master bedroom with updated bathroom, large walk-in closet and over-sized 5th bedroom. Plus Ring doorbell, Nest thermostat and 3 car garage! Great cul-de-sac location, with no neighbors directly behind you, this quiet and private property backs to a beautiful hillside. Oak Park Schools!" "Rare opportunity to own this exquisite Monte Carlo home with one the largest lots and most spectacular back yards in the community. This uniquely bright and open floorpan with formal living and dining rooms with soaring ceilings offers a beautifully updated kitchen with shaker cabinets, quartz stone countertops, double ovens and cozy breakfast nook overlooking the family room with fireplace and custom built-in workstation. There is a downstairs bedroom and updated bath with custom vanity, travertine tile shower with frameless glass enclosure! Upstairs is a spacious master suite offering wonderful mountain views and master bath with soaking tub and walk-in closet with built-ins. Two secondary bedrooms, and a large bonus room/5th bedroom with bamboo flooring and bamboo built-ins share a hall bath with dual sinks, shower/tub with glass enclosure. Additional features include upgraded HVAC system, tankless water heater, dual pane, double hung windows, built-ins in all closets, newly painted interior, travertine flooring downstairs, & hypoallergenic wool carpet upstairs. Stunning back yard with beautiful mountain views, sparking pool/spa with security gate, built in BBQ with sink and fridge, fire pit, and play area with artificial turf. Award Winning Schools!" 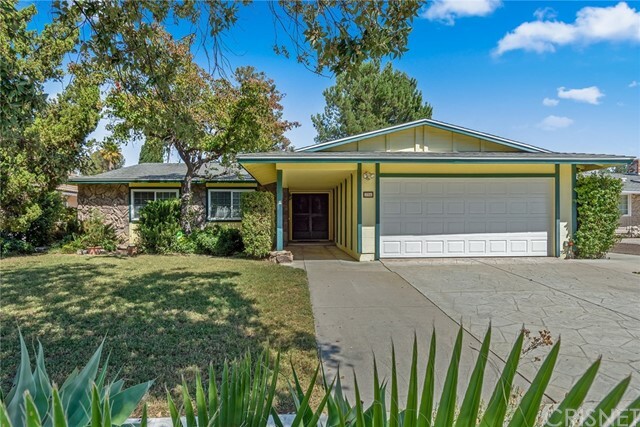 "Welcome to this beautiful Oak Park home in Rolling Hills Estates. Located on a private cul-de-sac near walking trails that lead to the highly sought after Oak Park Schools. Upon arrival you will enjoy the amazing curb appeal of the front yard with 4 40 ' palm trees. This 4 bedroom, 3 bath home (1 bed and bath are downstairs) has beautiful hardwood floors and soaring ceilings. The Kitchen boasts granite counter tops, a custom island, and double oven. Upstairs you will find 3 large bedrooms and a huge bonus room. The master bedroom has vaulted ceilings, a deck overlooking the pool, a large walk in closet which has a pull down staircase to access the large attic. The other 2 bedrooms also have vaulted ceilings. The lush and tropical backyard is very private. You will feel like you are on vacation while enjoying the large pool, Jacuzzi, BBQ and Fire pit that is located in the side yard. The yard has custom brick pavers throughout. Home is also for lease at $6,500. Will consider Lease/Purchase"
"Location, Location, View, View!!! This is a 3 1/2 bed, 2.0 1/2 bath home with a lots of upgrades throughout the house, must see to appreciate. Renovated custom home with spectaculars views, entertainment back yard with a heated pool and Jacuzzi, custom built barbecued w concrete counters, tiles throughout the back yard to the front of the house. It is a perfect spot for entertaining or just relax and enjoying the panorama. The gran entry invite you to an open floor plan, vaulted ceilings, recessed lighting, double glass windows, family room w fireplace leads to an upgraded kitchen w granite counters. Master suite w large walk-in closet and a balcony with beautiful views of canyons and mountains. 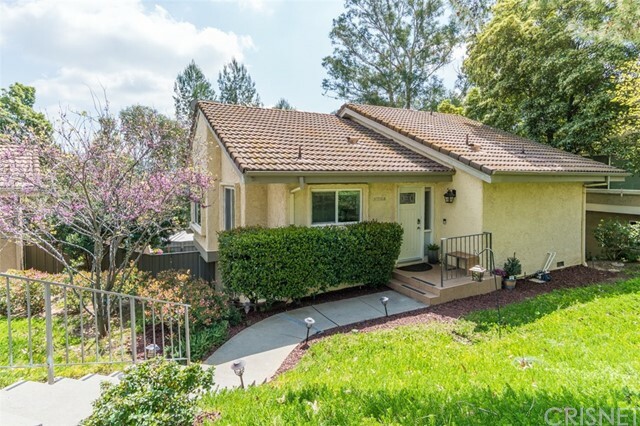 It is located in the award-winning Oak Park Unified School district close to Hiking Trails, Shopping Centers and Free ways." "Charming family home in Oak Park. Step inside this homes expansive two-story entry and make your way to the formal dining area complete with serval windows and backyard views, eat-in kitchen with gas-range and double oven, and cozy family room with sliding doors for patio access. Downstairs you will also find the first of four bedrooms, a full bathroom, and the laundry room.Upstairs hosts the remaining three bedrooms, a huge bonus room, another full bathroom, and a private master suite that features a standing shower and separate soaking tub, double-vanity, and spacious walk-in closet. Other amenities include an intimate, low-maintenance backyard with built-in barbecue and a large three-car garage. This home is situated on a quiet street in the Monte Carlo subdivision of Oak Park and is surrounded by top ranked schools, beautiful parks, and convenient shopping complexes." "Custom One story with over 2380 sq feet of elegant living. Totally rebuilt in 1996. Freshly painted interior & exterior. Newly landscaped. Enter thru thick wooden doors to free flowing floor plan. High arched ceiling. Separate formal dining. Upgraded cabinetry & fixtures thru-out. Kitchen boast convenient island, granite counters & extra storage. Family room with cozy fireplace. Sliders for easy access to private rear yard. 7370 sq ft lot. Large master suite with upgraded bathroom & dressing area. Walk to all blue ribbon schools. Recessed lighting thru-out. Surrounded by hiking, Biking & park areas. Superb package with all the amenities." "Reduced!! Largest floorpan in Monte Carlo 5 bedroom ( one downstairs) Popular Monte Carlo floor plan that is priced to sell* with 3 bathrooms. This light and bright home is roughly 2358 sq.ft and gives you a feeling of warmth and refined elegance that you can't find nowhere else. Some of its interior features include: an open floor plan, airy high ceilings, newer stone flooring, recessed lighting, updated kitchen, spacious master bedroom w/ vaulted ceilings, private master bath w/ his & her sinks, large walk-in closet, custom oversized shower, generous guest bedrooms w/ over- sized 5th bedroom, crown moldings throughout, granite counters in bathrooms and upper hallway, plantation shutters throughout, some newer windows, 3 car-attached garage and so much more. Its intimate backyard setting is truly a delight including a large patio overhang that is perfect for outdoor dining and relaxation. With no neighbor directly behind you. Located in one of the most sought after areas of Oak Park, this incredible home is walking distance to the famous Blue Ribbon Oak Park school district and local community parks." "A very special single story pool home with charming curb appeal that sets the tone for what awaits you, Upon entering, one is wowed by the dramatic floor to ceiling fireplace that was completely re-built inside & out and is the focal point of the living room with it's vaulted ceiling. There are recessed lights, re-textured ceilings, raised paneled doors, replaced windows& fresh paint. Enjoy the nicely appointed cook's kitchen with a breakfast nook and lots of storage that is adjacent to the family room. The master bedroom offers new carpeting & 2 separate step in closets & French doors leading to a private tropical oasis for taking that dip in the pool or relaxing in the spa. The covered patio allows you to entertain, rain or shine. The front landscape is designed to attract butterflies & hummingbirds, creating your own enchanted garden with a meandering pathway. This move-in ready home is on a lovely tree lined street close to parks, hiking trails and Oak Park Schools. No HOA dues." "BREAKING NEWS: HUGE PRICE BREAK ON COVEWOOD ST!!! Beautiful Oak Park home, on a corner lot, with vaulted ceilings; travertine floors; granite kitchen countertops; fresh paint; all new landscaping in front and backyards; plan 3; awesome floor plan; indoor laundry room; loft; large master bedroom with walk-in closet and built-in's. Fabulous location - close to shopping, hiking.Oak Park School District!Motivated Seller!" "Oak Park Charmer on quiet cul de sac! !This home has been remodeled and updated for you to move right in. Entry is gated court yard with awesome mountain views. The living room is done with wood floors, fireplace and high ceilings. There is a study/play room with skylights and custom bookshelves . The loft is upstairs and has built in desk and closet .Light and bright kitchen has wood floors, custom cabinets, quartz counters, stainless appliances, and cozy breakfast nook. The Master has 2 closets, private bathroom, and French doors to yard. Enjoy the privacy in the yard with pool, spa, covered patio, mountain views. Solar electric for home saves $$$ each month. Close to award winning schools, shops, and restaurants." "Oak Park single family home 5 bedroom/3 full bath! Absolutely charming turn-key home, beautiful, hard to find one story on a cul de sac in Oak Park. Living room with vaulted ceiling, recessed lights and laminate floor. New paint for whole house, new carpet in all bedrooms, new kitchen appliances, newer roof/water heater/garage door and insulation. Huge backyard for you to plant any trees/flowers you like or put swimming pool. Close to award winning oak park schools. Nearby Mae Boyer Park offers Tennis courts, ball field, Basketball, playground & much more. Short distance to mount biking & hiking trails. Easy access to shopping center and freeway. 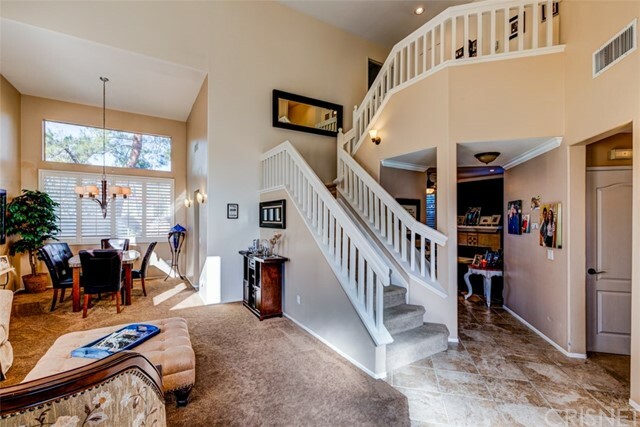 Walking distance to Oak Park Brookside elementary, Medea Creek Middle and Oak Park high school!" "Owner transferred -reduced need to sell!Beautiful home in Country Meadows 1 complex of Oak Park. Tree-studded corner lot ~~only 46 homes over 13 acres of mature landscaping. Free-flowing floor plan--smooth cathedral ceilings, outdoor balcony with mountain views. Three bedrooms on entry level, large master suite, 2 fireplaces, stainless steel appliances~~ eat-in kitchen~Breakfast bar. New flooring,freshly painted ,new heating/ac & water heater. Lower level includes remodeled family room, a full bath and bedroom . Two car attached garage,sealed & painted flooring, built in cabinets and water softener. Community facilities include pool, spa,&bbqs Blue ribbon schools and miles of hiking trails are just steps away. Move-in ready - a superb package!" "Perfectly upgraded, and completely move in ready two story home located in the highly sought after country vista community of Oak Park. This beautiful home is tucked away on a peaceful, private cul-de-sac. As you enter the home you will be greeted by pristine wood like flooring and vaulted ceilings. Enjoy the wonderful modern colors and upgrades that have been meticulously chosen through out the home, such as a nest thermostat, and ring video doorbell. This truly is a smart home. The kitchen is exactly what you ve been looking for with white cabinets, stainless steel appliances, and recess lighting. And, it segways seamlessly into the living area, where you can sit and relax in front of the fire place. Or, walk out to the balcony and enjoy the serene mountain views. There are two bedrooms located upstairs, including the master. And, two bedrooms located downstairs, making this perfect for families both large and small. . The bedrooms and bathrooms have also been upgraded with larger baseboards, crown molding, and soothing paint colors. If that wasn t already enough, this rare unit has its very own private backyard, perfect for entertaining with a covered patio, mood setting lighting, and a beautifully installed artificial yard. And, don t forget to break a sweat on the community tennis courts, and cool off in the pool. 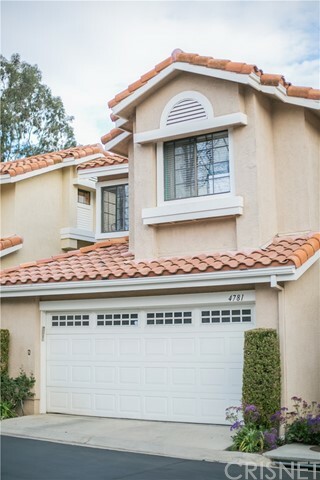 Lastly, this home is walking distance to Award winning Oak Park Unified schools, and Chaparral park. Minutes from hiking trails, restaurants, and the101." "Highly Desirable - Dual Master Suite Model! Beautifully maintained. Newly painted and stone floors have been polished. Clean as a whistle! Plantation shutters. Large and welcoming living and dining areas with soaring ceilings, fireplace and sliders to the pretty rear garden patio with grassy area. Gourmet kitchen features granite counter tops and breakfast area. Master bedroom and bath downstairs. Second master upstairs with adjoining bath and spacious closet. Third ensuite up. Indoor laundry room. Direct access to the two car garage. This home is in a great location in the community and close to guest parking. Walk to Red Oak Elementary. The community features a kids playground, a tennis court, club house, pool and spa. Close to shopping, fine dining, walking, biking and hiking trails." "You will not want to miss this stunning 3 bedroom-2.5 bath townhouse located in the heart of Oak Park. Walking distance to Oak Park schools, this home is approximately 1643 sq. ft. with all bedrooms upstairs. The kitchen is updated with Corian counter tops, newer appliances, and a brand new dishwasher. It overlooks the family room, contributing to the open and spacious feel. The formal dining room and bright airy living room boasts vaulted ceilings. The master bath has been beautifully renovated and gives additional charm to this home. The backyard offers clean and flat usable space. This unit is located steps from the community pool, spa, playground, clubhouse and tennis courts. There is ample guest parking as well. This home is immaculate, turn- key and ready to move into. The community is surrounded by hiking trails, shopping and restaurants. Location is within the award winning Oak Park School District." "Price Adjustment! Darling Capri highly upgraded. Favorite floorplan - considered double masters bedrooms. Looks like a decorator lives here! Updated stairway. Hardwood flooring downstairs. Slate tile floor in kitchen. One big bedroom down stairs with full bath. Living room looks out to charming large backyard with cobblestone patio. Very Private and open. Gorgeous fireplace in living room. Don't miss this!"